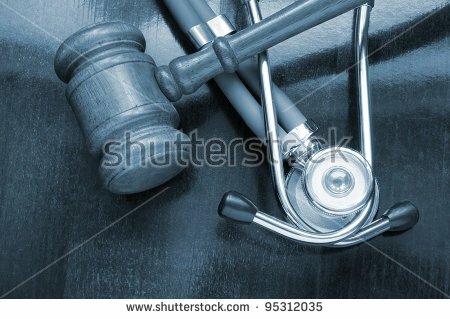 One of the worst features of the American health care system is the sorry state of medical malpractice law. Fewer than 2 percent of injured patients ever file a lawsuit. Of those that do, only one in 15 receives compensation. One of the worst features of the American health care system is the sorry state of medical malpractice law. Fewer than 2 percent of injured patients ever file a lawsuit. Of those that do, only one in 15 receives compensation. More than half of every dollar goes to cover the cost of litigation, rather than to the injured and their families. Ironically, the medical malpractice system is inordinately focused on whether someone was at fault when an injury or accident occurs. Of the estimated 187,000 deaths (NCPA estimate based on NEJM and NCBI) and 6 million injuries that occur in hospitals each year, only an estimated one in four are considered negligent (malpractice) — and the actual number is probably much lower than that. Another 30 percent (such as certain types of infections) are judged to be “preventable,” even though no one is guilty of negligence. Almost half of adverse medical events are “acts of God” — no one was at fault and there is no obvious way of preventing them. Here’s the problem. When we focus exclusively on malpractice and do nothing about the other categories of adverse events, doctors will do things that reduce malpractice events but increase the risk of some other type of injury. For example, doctors can reduce their malpractice risk by ordering more tests. But each of these tests carries a risk of hospital-acquired infections and other adverse consequences. For half of the estimated $300 billion our nation spends on the medical malpractice system, we could afford to pay $200,000 for every death that occurs due to an adverse event and an average of $20,000 for every injury (with the actual amounts varying based on the severity of the injury). The system would be voluntary, but many patients would willingly forgo the long, drawn-out and expensive tort process in exchange for a low-cost, efficient system where they generally know what they will get if something goes wrong. The incentives on the supply side of the market would change almost overnight. Since doctors and hospitals would have to pay premiums to insurance companies to pay off the claims, they would have strong incentives to reduce the number of adverse medical events, regardless of their cause. Under the reformed system we propose, every death would be equally expensive — no matter what caused it. Providers would continue to have good incentives to reduce deaths from malpractice. But they would be equally incentivized to prevent what is “preventable.” They might even discover that all those other deaths and injuries really aren’t “acts of God” after all. This idea may be catching on. Legislation under consideration in Florida and Georgia would create a no-fault system modeled after the workers’ compensation system. Because both reforms continue to focus on the idea of an “avoidable medical injury,” they don’t go as far as we would like. But their efforts are a step in the right direction. 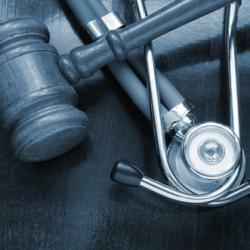 These reforms could save billions of dollars in defensive medicine costs as well as court costs. Miami-Dade, Florida, is one of the most medically litigious counties in the country. So almost any system that keeps medical cases out of the courts will benefit Floridians and Georgians and reduce the malpractice premiums doctors must pay. A version of this Health Alert (co-authored by Pamela Villarreal) appeared at Townhall.